Bamboo flooring has been around for at least two decades, but now manufacturing advances have enhanced its performance and diversified its appearance. This has led to many designs available on the market for purchase. You may have considered installing bamboo flooring but struggle to commit to the change. So is it worth it? This article highlights what bamboo flooring is, discusses the pros and cons, as well as additional considerations for picking out your bamboo floors, should you decide it sounds like a good fit for you. 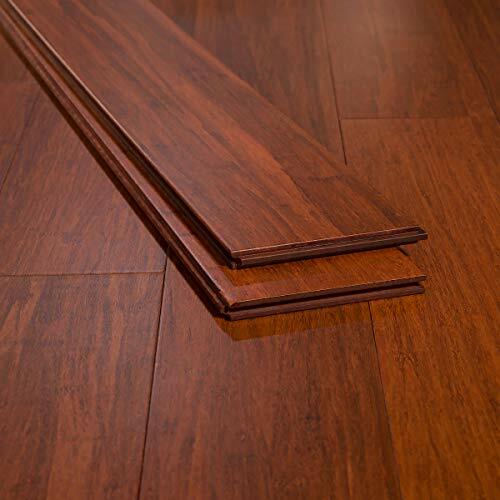 Bamboo flooring is considered a kind of hardwood flooring although it is actually a grass that has been highly processed to produce flooring along with other home improvement products. Bamboo flooring is typically engineered, which implies that strands of grass are sliced, shredded, and then pressed together with glues and heat to form the bamboo boards. The flooring has different appearances. Vertical bamboo has a uniformly striped look. Horizontal bamboo shows knuckles in the grain pattern that is mostly associated with bamboo flooring. It may also be a strand-woven bamboo, which entails mixing the grass fibers so they become interlocked. The strand-woven bamboo is the most expensive type among the three. 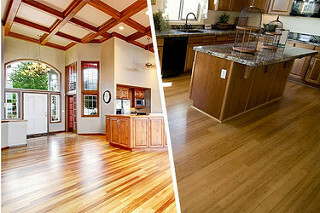 Bamboo flooring offers many great benefits, both aesthetically and practically. Bamboo flooring is a good choice for those interested in setting up a “green” home or business premises. The fact that it is made from a grass makes it environmentally friendly. Grass grows faster compared to trees and doesn't need to be replanted, making it a highly renewable source of material. This flooring is treated against insects and moisture but does not involve the use of harsh pesticides or chemicals. Bamboo is a highly durable material for any location subject to extensive use and stands up well to abrasions caused by pets and children. It is resistant to the impact of falling items in the kitchen and is suitable for areas with high traffic, such as hallways and living rooms. Bamboo also has a greater compressive strength than concrete flooring and about a similar strength to weight ratio as steel when subjected to tension. While it can be considered as tough as steel in some ways, it is kinder to the body. When a person stands on concrete or hardwood, the feet, legs, and knees experience more strain than they would if the person were standing on bamboo. The natural, uncarbonized bamboo, when properly harvested and manufactured, can be as hard as red oak. Strand-woven bamboo can be harder than red oak. Bamboo is a trendy flooring material and typically elevates the elegance of a space almost instantly. It looks and feels like hardwood but is noticeably distinct. Bamboo is slightly more water-resistant than other hardwood floors. With bamboo flooring, you are less likely to experience water damage or warping. 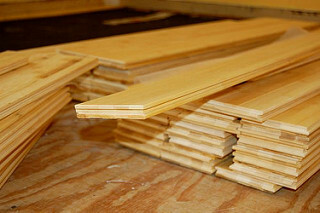 No matter your taste, there are many varieties of bamboo flooring you can choose from. The natural grain is vital in providing a unique look and you can make a color selection between natural bamboo, carbonized bamboo, and stained bamboo. Natural bamboo is light blonde. Carbonized bamboo is darker because the sugars in the bamboo caramelize during extensive boiling. Choosing stained bamboo will give you the widest array of options as stains are available in dark, medium, and light shades. For those who want more durability and strength, a direct print bamboo is an option. Before the bamboo flooring is sealed, you can apply the decor of your choice. For an eco-friendly, cost-effective, and durable flooring, bamboo flooring is the best option as it combines these attributes. Additionally, it is less likely to need repairs in the long-run. The price is about the same as most hardwood floors. You can find it for about $2 to $8 per square foot. However, we recommend that you avoid bargain basement materials as they are of inferior quality. 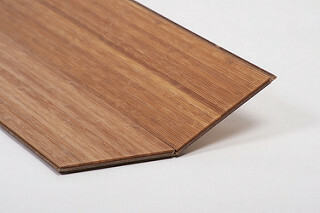 It is easy to take care of bamboo flooring. You don’t need special cleaning agents, and in fact, avoiding them will increase the lifespan of your flooring. Instead, opt for sweeping and a damp mop in day-to-day cleaning and maintenance. Ensure the mop is not too wet as this can damage the flooring. You can also vacuum it regularly to remove small particle debris. You may also use non-alkaline, non-wax, bamboo or hardwood cleanser. This flooring adds an extra touch to your home and provides a comfortable feeling because of the natural look and feel of the material. It can also evoke a sense of serenity in your home. Over time, the floor becomes discolored, marred, and/or scratched. However, you will get this with any flooring that you have had for a long time. The good news is you can refinish this flooring by sanding it down and then reapplying the finishing coats and décor to give it a fresher look. The amount of sanding depends on the thickness of the planks used. Despite its many advantages, this flooring isn't for everyone. If you take major issue with any of the cons listed below, it probably isn't for you. Even though this flooring is easy to maintain, it is difficult to keep it perfect as many things might lead to scratches. These include pet claws, high heels, or even furniture legs, all of which can damage the floor. Small grit and particles of dirt and sand can also cause scratches. Manufacturing the bamboo materials is done by slicing or shredding the stalks of grass and then pressing them together by applying pressure, heat, and a resin-based adhesive. The adhesive typically releases volatile organic chemicals (VOCs) into the air. The amount of VOCs released depends on the manufacturing process. 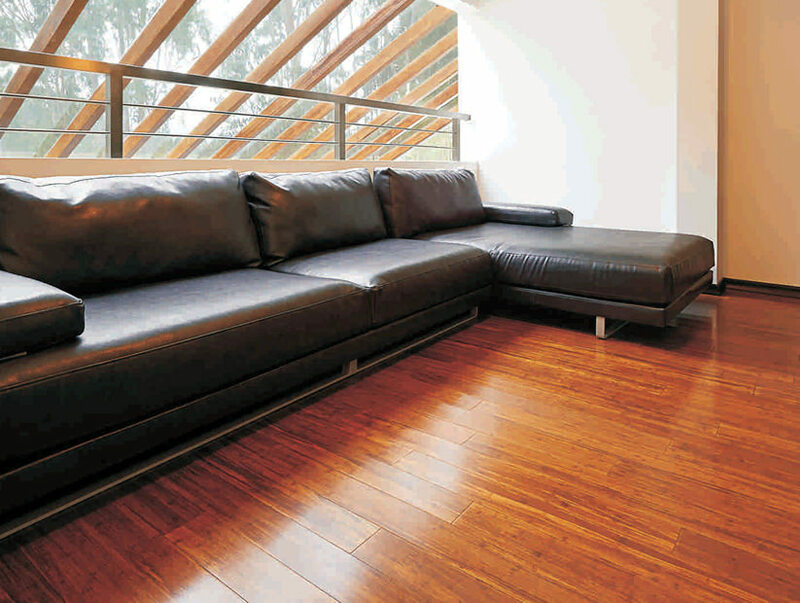 As highlighted in the pros section, bamboo is more resistant to water damage than average hardwood. However, it is naturally made with organic materials, and too much moisture causes warping and growth of mold. There is no independent system used in rating the quality of bamboo flooring. While retailers use Grade A or Grade B, this is just an arbitrary system and doesn’t reflect the quality of planks. This implies that you should only get the flooring from reputable dealers. Bamboo is natural, but the flooring entails mixing with chemicals such as VOCs. These contribute to a level of toxicity in your home’s interior space. Additionally, there are concerns raised with the mass amounts of bamboo being cut. Natural, uncarbonized, and strand-woven bamboo flooring is hard and durable, however, darker bamboo planks are softer as the carbonization process weakens their structure. There are several considerations when choosing bamboo flooring. First, go for a bamboo product that’s aimed at being effective for the specific climate you live in. Natural bamboo is suitable for dry, cold, and mild climates as it is more susceptible to water, humidity, and heat. For eco-friendly bamboo flooring, go for the bamboo flooring that is natural, uses a non-toxic finish, and doesn't use artificial dye or adhesives with VOCs. If you live in a humid region, protect the flooring with a finish. Second, get samples and select your favorite color and style. Find a dealer with many designs and colors to choose from. You can select either vertical, horizontal, or strand-woven bamboo. You should also consider how long you intend to have the flooring. The sturdiness is typically affected by the treatment process and the age of the bamboo at the time it is harvested. Carbonized bamboo is softer than the uncarbonized variety and typically lasts longer. The harvesting age of bamboo begins at three years and at ten years, it is as hard as mahogany. However, not all manufacturers harvest mature bamboo. Most bamboo floors last for 20-25 years. Another factor is cost. Bamboo is cheaper than engineered hardwoods. You might also want to consider installation difficulty, especially if you are planning on doing the installation yourself. 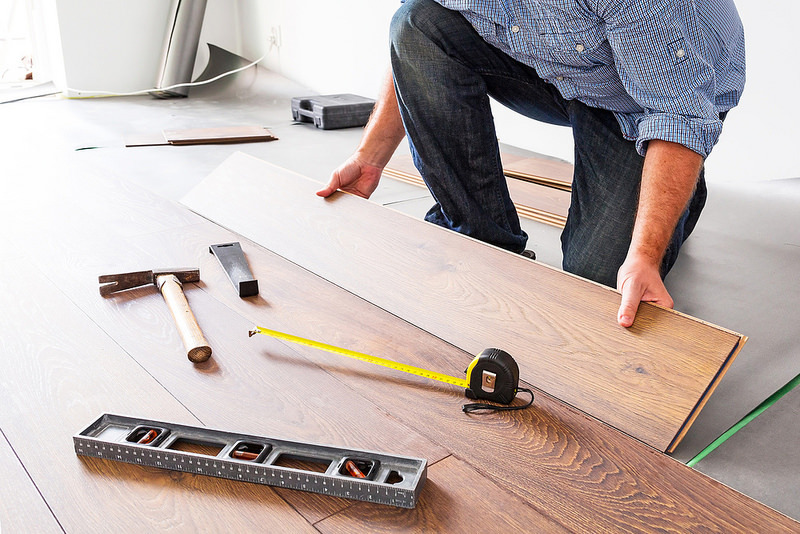 Hardwood flooring is moderately difficult to install, just like engineered hardwoods. Bamboo flooring is manufactured by using strands of grass that are sliced, shredded, and then re-joined with glues and heat. There are various types including vertical, horizontal, and strand-woven bamboo. The benefits of choosing this flooring are that it is environmentally friendly, highly durable, offers several style options, is more water-resistant than other hardwood flooring options, is cost-effective, easy to maintain, provides a warm and comfortable feeling, and can be refinished. While bamboo floors have many benefits, they also have their share of downsides, including environmental concerns and quality control issues. However, if you can get past these concerns, you will enjoy the unique look and warm tone these floors provide. We hope we have provided adequate information in this article to help you decide if bamboo floors would be a good choice for your home or business.